New Jersey’s Verbal Threshold: Can You Sue for Injuries After a Car Accident in New Jersey? Aside from feeling pain following a motor vehicle accident, many people are left with feelings of confusion, uncertainty and fear. The law governing automobile accidents in the State of New Jersey contains many protections for those who are injured as a result of the negligence of others. If you are involved in a car accident, it is extremely important that you contact an attorney who is very well seasoned in this area of the law. You would not necessarily utilize a personal injury attorney to do a closing on the purchase of a home and you should absolutely not use a real estate attorney to help you with a car accident case. 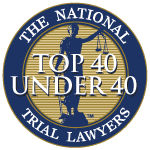 The attorneys at Harrell, Smith and Williams have practiced in the area of motor- vehicle negligence case for their entire careers. They have handled all types of motor- vehicle accident cases from their earliest stages up to and including complex trials before a judge and a jury. We can provide you the answers to the most difficult of questions and assist you in not only fighting the insurance companies to pay for the medical treatment which you need, but to assist you in receiving the monetary compensation which you deserve. If you have been in a car accident, please call us today at (908) 543-7037. We are eager to discuss the merits of your case and guide you in making sure that all of the complex procedures are properly followed, thus providing you with the greatest chance of success. We will assist you from the very beginning of the case, from reporting the accident to your insurance company, to filling out the Personal Injury Protection forms to ensure that your medical bills are timely processed and paid. We can even assist you in getting your medical treatment paid for even if you were struck by a car as a pedestrian and do not have any medical coverage. In the State of New Jersey, the laws were specifically designed to provide compensation to those injured as a result of car accidents. Many people are hesitant to pursue their rights out of fear that the driver of the other vehicle may be personally responsible out of their pocket for any settlement, judgment or verdict. In the vast majority of cases, this simply does not occur. Motor-vehicle insurance is mandatory in the State of New Jersey; therefore, all drivers on the roads must be insured with an automobile insurance policy. As part of that insurance agreement/contract, the insurance company agrees to hire an attorney to represent the defendant and to pay out any settlement or verdict up to their insured’s policy limits. We may be able to assist you in pursuing a claim for pain and suffering even if you do not know the identity of the other driver(s), or the other vehicle(s) were uninsured at the time of the accident. This can be accomplished through the filing of an Uninsured Motorist case against your own insurance company. The attorneys at Harrell Smith and Williams have vast experience in negotiating with the insurance companies and are fully prepared to go to trial if or when necessary. Two of the members of this firm previously worked for the insurance companies and have a superior understanding as to what they are looking for and what information is necessary in order for them to offer the highest settlement possible. Call us at (908)543-7037 for a free consultation.